That’s right! After heading out of PA and away from the chilly weather for the winter months…I have finally made my return. Upon settling in back home I was very eager to return to fostering, but mother nature decided to throw a wrench in my plans. I knew that taking on a foster during the crazy snow and ice wasn’t the best of ideas, I was already struggling enough getting my own dogs to go potty and walk on among treacherous city streets. Dottie is a senior gal that is recovering from multiple teeth extraction. And by multiple…I mean she is two teeth shy of being completely toothless. She’s a tiny mini poodle who needs to gain a good amount of weight, her puffy hair hides her slim waistline. She has a gimp leg, basically a luxating patella, though it has the appearance that her (back) leg is somewhat twisted. 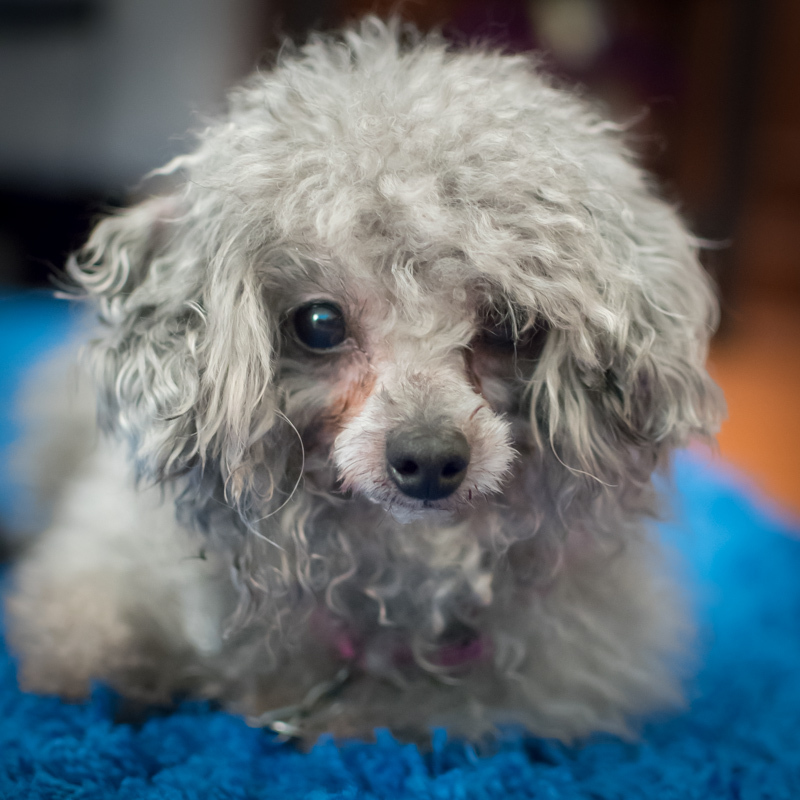 When she first came into the shelter, she was a hot mess…dirty and matted. Despite these things, Dottie hasn’t let any of it hold her back. She’s been eating wonderfully, she loves her daily walks…her funky leg doesn’t slow her down one bit, she got a haircut at PAWS and an additional cleanup once she came home with me. She has a spunky, playful disposition and absolutely loves to be by my side at all times. She’s a bit nervous and can get anxious when left on her own, but I’m working on that with her and she’s starting to relax quite a bit. 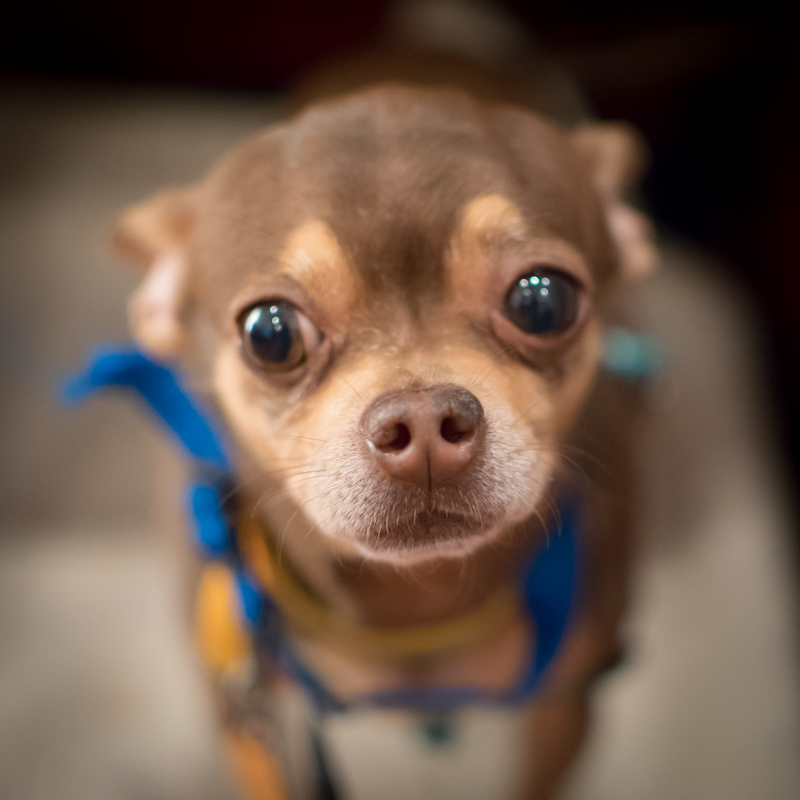 Donald is a small, but quite pudgy, chihuahua. He is currently feeling a bit under the weather due to having kennel cough, but he’s doing great on his meds and should be back to 100% very soon. He’s sweet and shy but warms up quickly. He is one of the easiest dogs to take for a potty walk, he knows what to do right away, he’s a smart lil thing! Don definitely needs to loose a bit of weight, he looks like a stuffed sausage right now! And while it adds a bit to his overall cuteness, it’s not at all healthy. (Wondering where your pooch falls on the thin/fat scale? Check out this chart for more info) Don likes the company of other dogs and I could see him joining in some play sessions once he feels better. Time will tell! On another note, I have received quite a bit of updates from parents of former fosters over the last few months. It has been so very awesome to hear how wonderfully everyone is doing in their forever homes. Hopefully I’ll get a chance to share the pictures and stories with all you wonderful readers soon!